The Desjardins Sailfin Tang, Zebrasoma desjardinii, is also known as the Indian Ocean Sailfin Tang, Desjardin's Sailfin Tang, or the Red Sea Sailfin Tang. 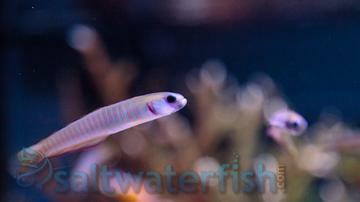 Its body morphs change depending on its age: the juveniles are solitary and tend to spend time hiding among live rockwork. 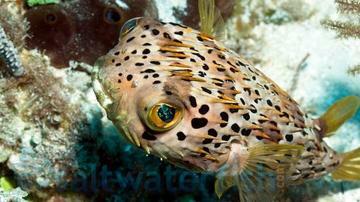 Adults develop light freckles and its characteristic yellow finnage and black and white striping. They should not be housed in tanks smaller than 50 gallons and should be housed in tanks with plenty of live rock where the Sailfin Tang can find macroalgaes to eat on. Sometimes they will munch on small inverts Relatively peaceful, the Desjardins Sailfin Tang may exhibit territorial behavior to similar looking species. Only keep in pairs if multiple are desired. 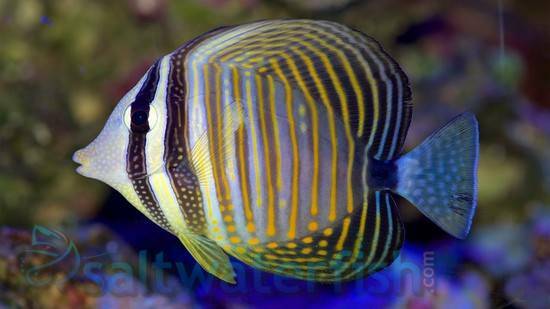 Overall, the Desjardins Sailfin Tang is a wonderful tang species that can be a beneficial tank member by eating pesky alga. Love, Love this tang. Beautiful fins that open up like a sail. 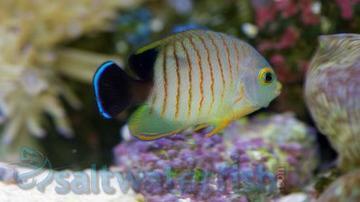 Hence the name sailfin. Its the highlight of my tank.